« Sir Alex believes …..
A kick up the bottom ….. 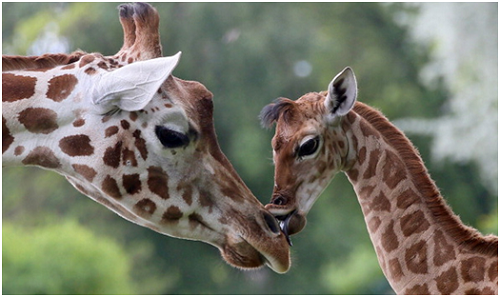 When a giraffe is born it falls more than six feet from its mother’s womb on to the floor. After checking that it’s breathing normally the mother kicks the baby and sends it sprawling. In fact, the mother will keep kicking its new born until it stands up and then, when it does eventually stand up, the mother will kick its new born again so it falls down. This seemingly cruel process is repeated for 10 – 15 minutes. In the wild, baby giraffes must be able to get up very quickly in order to stay with the herd, where there is safety and not fall prey to lions, hyenas, and leopards, who all enjoy eating young giraffes. Hence the baby giraffe’s rather violent initiation. Fortunately we humans don’t require kicking at birth and in time, our innate intelligence helps us to master the difficult task of walking. And no matter how many times we fall down, and no matter how many times we’re hurt, we still get back to our feet and learn to walk. Sadly however, most of us humans do need a bit of a kick as we get older when get caught like rabbits in the headlights of life, too afraid to take the next step for fear of failure or rejection. We forget that we’re not the rabbit. We’re the headlights. Never ever give up. Never quit. Because as General Douglas MacArthur said, "Age may wrinkle your body, but quitting will wrinkle your soul." Robert asked the preacher to pray for his hearing. 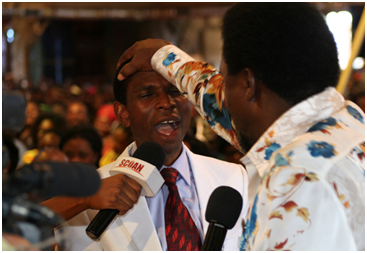 After 3 minutes of violently pushing and pulling Robert’s head, the preacher asked Robert, "How’s your hearing?" Robert replied, "I don’t know. It doesn’t take place till next week at the County Courthouse." Not good. I’ve had eggs for breakfast every day this week. This entry was posted by admin on April 3, 2016 at 8:44 am, and is filled under Sunil Bali, The Art of Awesome Living, The Book of Awesome Humour. Follow any responses to this post through RSS 2.0. Both comments and pings are currently closed.